Guest post by Christine Kilbride, digital marketing associate, Core Solutions. In the year 2017, technology is all around us. The healthcare industry is no exception. 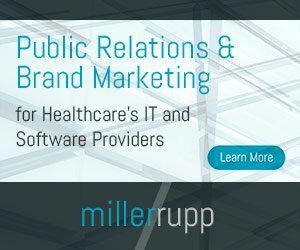 The dawn of modern technology like computers and mobile phones has introduced an entirely new subcategory to the healthcare industry – healthcare IT (or HIT). The U.S. government has even seen the value in healthcare technology, validating that sentiment in 2014 with a mandate requiring a conversion from paper files to electronic health records (EHR) for healthcare providers, public and private. Since then, the healthcare IT industry has boomed. Many new and established companies have honed their own version of an EHR or EMR (electronic medical records) platform. Although adopting EHR is mandatory, the type of EHR system you select is entirely up to you. But deciding on one particular provider can be a challenge in itself. Currently there are more than 600 providers, according to HealthIT.gov. So where should you start? Core Solutions produced the following infographic to help you identify the needs of your organization, in terms of an electronic health record system. First, you should consider the needs of your organization. Are you public or private? Does your short list of EHR providers currently service clients like yourself? These considerations are important, because healthcare is a very diverse landscape, and familiarity with your organization-type can only aid the process. Another concern is the product itself. Brainstorm what features are most important to your organization prior to nailing down a short list of EHR companies. Do you need a new billing system? Would you like an integrated system with appointment scheduling and referral management? EHR software can be highly customizable, so take advantage of the exploratory process to truly define what your needs are. Lastly, pay close attention to the outlined implementation process in each proposal. What time frame would you prefer? Will you be offered continued technical support after the product is implemented? What kind of training is offered? These concerns are important for the longevity of your EHR system, and for ease of use within your administration. Consider the infographic below for additional questions to address with your prospective EHR provider. Guest post by Sanjeev Dahiwadkar, CEO, RxOffice. No one will argue that there are not benefits to EHRs (electronic health records). They eliminate paper, enable providers to track data efficiently over a period of time, create a clearinghouse of patient health information in one place, just to name a few. Some argue EHRs improve the overall quality of patient care and business management. However, with so many EHRs on the market, hospitals and doctors’ offices face the daunting task of selecting the right system. Like the general population, most healthcare professionals’ exposure to technology has been limited to that of a consumer, making the selection of the right EHR system a process out of their comfort zone. Then getting trained on how to efficiently use the system while maintaining a high level of patient care comes into play. This has proven to be frustrating, ineffective and possibly dangerous in extreme cases when information is incorrect and/or cannot be accessed. This situation has put healthcare providers in a challenging position, to say the least. Since 2009 when the federal government rolled out the $30 billion American Recovery and Reinvestment Act as an incentive program for the healthcare industry to go digital with its records, the landscape has changed. One of the first things that happened was the huge influx of technology vendors who decided to make their foray into the healthcare space. Unfortunately, most of these companies did not understand how the industry operated, no pun intended. In fact, the average vendor just launched its first product to the industry in the last year so that does not provide a lot of industry longevity/credibility. Many vendors were focused on getting the peace of $30 billion pie at the cost of their client not getting what the system they needed. Established technology vendors, who shifted their focus on solving the industry’s problems, were outnumbered by the new players who entered the market chasing government grants. The availability of these grants actually created an EHR technology bubble in very short period of time. To make matter worse, well-intended government rules only focused on the end users’ ability to implement technology correctly instead of the technology producers. With the overwhelming amount of information out there about EHR technology and the providers, healthcare professionals must do thorough due diligence to find the best system that fits their needs. This will take both a time and resource commitment. Let’s look using a metaphor that most people understand or at least have had some experience with, dating. The same principles used in dating can apply when selecting the right EHR technology. Here are four simple rules that can help any healthcare provider make a good business decision when looking for an EHR solution.